These lot owners from NSW have questions about strata manager complaints. Leanne Habib, Premium Strata provides the following responses. Question: We have complaints about our Strata Manager. What is the best way to remind our Strata Manager she is working for us? She borders on bullying. We have complaints about our Strata Manager. What is the best way to remind our Strata Manager she is working for us & sometimes a little bit of “license” on lesser matters goes a long way? She borders on bullying. Answer: Speak to the principal of the strata management agency and asking for their intervention. Personality conflicts are inevitable in strata and other contexts – have you thought about speaking to the principal of the strata management agency and asking for their intervention or possibly asking for a substitute strata manager with whom you have better rapport? Question: What can a lot owner when they have no support from other lot owners? Is “corruption” only an issue at our strata? Do lot owners at other strata complexes have the same feelings but don’t know what to do? My question is what can a lot owner do about committee and strata manager complaints when they live in a small strata complex and find that lot owners are either not interested in strata matters or too not equipt to understand the seriousness of the issues at hand? I am living in NSW. Our Owners corporation is totally dysfunctional as many owners cannot attend meetings as their levies are not paid. Others investor owners don’t care about meetings and their outcome and many are in the pocket of the Strata manager who is using their back to push his agenda and the agenda of the lot owners who are his best mates. Spending more than 60% of Owners corporation monies on a work project which was not of emergency nature. This will now will result in increased levies. Around 3-4 owners are getting things done at their place without any meeting or voting. Why should this happen when others go through hardship to get things done? Having unnecessary paper votes when things are already decided in a meeting. The expensive Strata Management Company who spend the Owners corporation monies without any approval as well as no explanation of expenses when asked by a lot owner like myself. I am feeling very frustrated as it seems that few owners and the Strata Manager are wasting money for their own gratification. I am very sure that money is being embezzled as well. There is plenty of expenses which are very questionable. When raised at meetings, the Strata Manager moves onto the next motion without answering my questions or just give a very lame answer which cannot be swallowed by any reasonable person. Is strata Legislation silent on corrupt behaviour of Strata Managers and/or Owners corporations? I am aware of going to the Tribunal for strata manager complaints. What are the chances at Tribunal about corrupt behaviour when there is nothing legislated about it? How can I stop the Strata Manager and his mates embezzling the Owners corporations monies? Is “corruption” only an issue at our strata? Do lot owners at other strata complexes have the same feelings, but don’t know what to do? Answer: The best course of action would be to try to be elected to the committee then rally support from the other committee members. 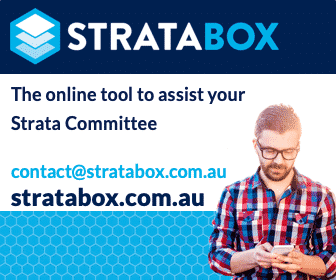 Under the strata legislation, you have rights to make application for the compulsory appointment of a strata manager. If you are successful, that means that no owners will have a vote and the new strata manager will make decisions himself/herself to ensure compliance with the legislation etc. You would need to demonstrate that the scheme is not functioning or is not functioning satisfactorily (ie it must be dysfunctional as you state). See Section 237 Orders for appointment of strata managing agent. In terms of corruption, strata managers are generally bound by ethical codes of conduct. Further, if you can demonstrate such corruption, you could report them to Strata Community Australia (institute of strata ) and NSW Fair Trading – see below for links and contact information. This post appears in Strata News #209. Question: We got several pieces of advice and recommendation from our Strata Manager – some of those pieces are very unprofessional, not applicable or totally ignoring previous recommendations given. Where can I make strata manager complaints? I am living in a 2 Strata Plan building with over 100 lots each. At present we have some problems with the performance of the Strata Manager and the Building Manger. They get along together very well. It seems they rather play politics than manage our building and finance. We got several pieces of advice and recommendation from the Strata Manager – some of those pieces are very unprofessional, not applicable or totally ignoring previous recommendations given. It seems this is all done to split the committee and owners into different groups. As a previous long term committee member, where and how can I do something about this? Can I apply to the tribunal for an order demanding the Strata Manager to either withdraw his advise or to justify it? Where can I make strata manager complaints? Is there a place where I can officially complain about his unprofessional recommendation? Obviously, the best course of action would be to try to be elected to the committee then rally support from the other committee members. You might be able to sway them to your position due to your long term experience as a committee member. Also, you could raise your concerns in writing to the strata manager. Alternatively, you could give a “qualified request” to convene a general meeting of the Owners Corporation to discuss specific areas of concern. You might also wish to pursue the matter through NCAT though you would need to go to mediation first. (f) an exercise of, or failure to exercise, a function conferred or imposed on an owners corporation under any other Act. Yes, you may lodge a complaint with the NSW Office of Fair Trading and you may also complain to Strata Community Association. NSW: Community Leadership – It’s your asset, only you can care! Visit our Strata Managers OR NSW Strata Legislation. Hi Nikki/Leanne, sorry for the long delay in my response. I have paper trail in which strata manager either did not respond or respond very abruptly, saying he is not assigned to answer question from an individual owner? He also told me off many times before by saying that he is sick of answering my emails? Regarding checking books or records of Owners Corporation, I am checking financial statements of OC. I found out many discrepancies in the accounts and when asked Strata Manager, he simply ignore my emails? There is no secretary as SM assuming the position of all three officers of Strata Committee e.g. Chairperson, secretary and treasurer. In last meeting, he declare himself that there is no need of secretary or any other officer as he is doing all work himself for OC? He inform us at previous AGMs that any officer who are elected at meetings are “figure head” only and can not make any decision or call meetings or even ask any question to Strata Manager as he is authorized to spend money whichever way he likes? Ask for Mediation recently but he got his people reject that. Now thinking to go to NCAT as in previous AGM he change/choose his own people in Committee although people who put their hand up (including me) were ignored (he did not ignore me) He never put minutes of the meetings correct, all committee meetings called by him without any input from me and few other committee members (only discuss with his own people) When I got numbers to reject minutes of previous meeting, he simply advise me that I need to call another meeting to correct the minutes although I send him the correct minutes (amendments via emails with my objection) He just wont listen and making things harder for me and some other reasonable owners other than owners/committee members sitting in his pocket who no matter what support him whether he is doing right or wrong as I believe all committee members have no idea about strata and its functioning? Please reply and advise what course of action me and my other committee members can take to solve this puzzle. I am doing a UX research piece on how we might we open the dialogue and it’s effectiveness between strata companies, owners and residents, so people feel confident and in control of how their homes are being managed. I’d love the the opportunity to have a phone interview with you around this article, if possible? Hi Leanne thanks for reply, I am a committee member and the problem is other committee member rallying against me whenever I raise a legitimate question about strata manager in meetings. Clearly they are siding with strata manager, This is the problem in many strata buildings and complexes. I am not saying that every strata manager out there doing wrong, but in our case it is a group of owners who are with strata manager hence making it hard for other owners even to raise any objections? It is common sense which guide us that no one can do shonky things on their own? You need support to do things whether legal or illegal. The issue became more complicated when other owners (who don’t attend meetings) are too quiet about the whole situation? I believe they did not understand where our money is going and what the future hold for all of us? It is very difficult situation for someone like me who is investing lot of my own time to figure out things, but unable to get it through the meetings as “majority” rules? And the majority, without any question, putting their approval stamp on whatever strata manager does? Any suggestion/s how to tackle this situation? You could very clearly and objectively make a list of all your objections/grievances/complaints/questions and address it to the Strata Manager and/or the Secretary who should respond to it (normally, such correspondence would be tabled at a committee meeting). Whether or not they respond, your letter could later serve as the beginning of your evidentiary trail. Also, if you find that information from them is not forthcoming, you can pay the fee and inspect the books and records of the Owners Corporation.